Make your voice heard. 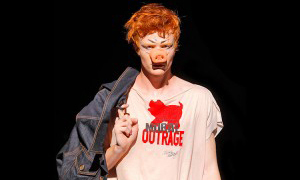 If you don’t want to see massive US scale pig factories entering the UK, then please object to the planning proposals. Many smaller and higher welfare farmers will be unable to compete with pork from such mega farms. 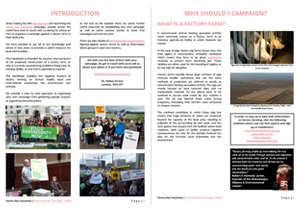 Are you aware of any other factory pig farm proposals? We’d like to hear from you. The planning application (B/2015/0005/F) for a 20,000+ pig factory in Northern Ireland constitutes a major risk to both human and animal well being, as well as a serious threat to the local environment. 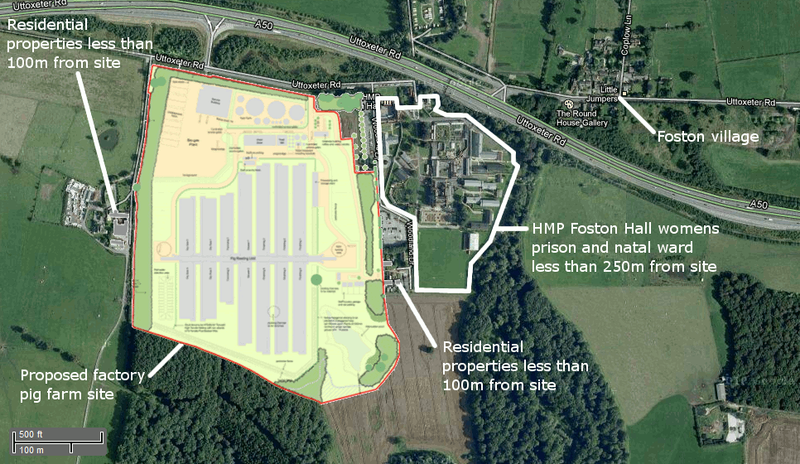 Plans include five buildings with up to 7,114 pigs in the largest building and up to 3,557 in the four other buildings. The application also includes two slurry stores, and it is anticipated that slurry will be landspread onto third-party land or fed into anaerobic digesters. Landspreading of slurry poses serious health and environmental risks and it has been found that anaerobic digesters do not destroy all bacterial pathogens, such as salmonella, listeria, E. coli and campylobacter. Under Freedom of Information and Environmental Information Regulations request a copy of the Habitats Assessment for the project which must be completed for the Planning Authority and the Environmental Protection Agency Integrated Pollution Control Permit. Check if the plans sit within a European Protected site. The Environmental Protection Agency should have assessed the impact on any European Protected site within 7.5km of the pig sheds and also 7.5km from any land spread with the waste. If Nutrient Management Plans are mentioned as a solution for the land spreading of waste, remember that plants only take up 50% of the nutrients and the rest is lost into the air, water and soil causing surface and groundwater pollution. Check if you are within a Nitrates Vulnerable Zone. Ask for a copy of the Ammonia Emissions Assessment of the pig sheds and from the land spreading of the waste. Check the report for an ‘aerial ammonia emissions assessment’ from the land spreading of the waste. This should not be missing and can be challenged. Ask for a copy of the Cumulative Impact Assessments of all other projects and plans approved and in planning appraisal, which may have an adverse impact on Protected European Sites (Natura 2000 Sites) and Priority Habitats. The assessment should include any ammonia emitting projects such as Anaerobic Digesters, Water Discharge Permits, Sewage Works, Dairy Farms and Composting Sites. Ammonia emissions can travel up to 70km from source. Ask for a copy of the Bio-aerosol Assessment of the pig sheds and the spreading of the waste. This will normally only contain information on ‘Total Bacteria’, ‘Aspergillus Fumigatus’ and ‘Gram Negative Bacteria’. ‘Gram Positive Bacteria’ are the most pathogenic for human infection, make sure this assessment has not been omitted. Midland Pig Producers were granted a permit by the Environment Agency after an appeal was made. However, Midland Pig Producers officially withdrew their application for the pig farm in March 2015 and have not reapplied.